Heys guys! Today I have a really awesome post for you to check out. 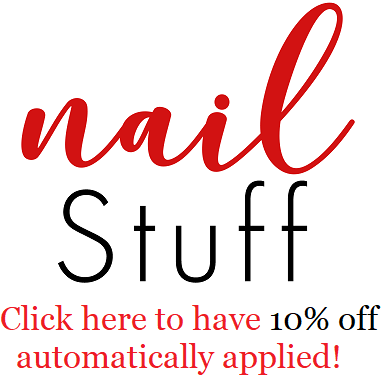 It's a Sally Hansen Complete Salon Manicure review ! They sent me 5 beautiful polishes & I am so excited for these. I am so happy that they're part of my collection. To be completely honest I never knew that Sally Hansen had Jelly texture polishes. So when I first got these I was like why do they have all these pinks in the same collection. & Then when I opened them I could see that some were cream polishes & some were jelly. So I was quite shocked. Barracuda is a gorgeous light blue cream polish. It was gorgeously opaque in 3 thin coats. I can't get over this blue it's so summer sky-ish. I Lilac You is a pretty light cream purple polish. In this picture I used 3 thin coats of polish. This is such an amazing shade of purple. Pink a Card This colour man. This colour is the perfect baby doll pink.To acheive this opaqueness I applied 3 thin coats. I don't know what it is about this colour but it seems so innocent. Sweet Talker is another super gorgeous light pink jelly cream For this picture I applied 3 thin coats. I really love this formula. Arm Candy is a beautiful light pink jelly polish. It's so beautiful to be the opaqueness I like I used 3 thin coats. The formulation of this polish is pure perfection, theres no streaks. Now yes they look alike but no they are not the same. Arm Candy is more of a natural pink with more of a Jelly look than a cream, & Sweet Talker is a more of a cream than jelly. I loved these all of these! The formula is easy to work with, they're also super shiny when dry. I am super impressed with all of these. & I must admit I have fallen in love with Barracuda !! I should know better but I always underestimate Sally Hansen when it comes to polish, but yet every time I'm looking for something they always have it. & They're always on top of the trends. I most definitely need to pay more attention to them. So what do you think of these? Which are your faves? Do you own Any of them? Would you buy them? What was your favourite Sally Hansen collection/polish? Love the polishes. Great article, good information. Arm Candy is my most favorite! Thanks for posting this.